With the internet and digital storage, you may think that having a traditional photo album for your cherished memories is a thing of the past. But having a physical album that you can flip through someday when you’re old and grey is something else, and nothing can truly replace that. 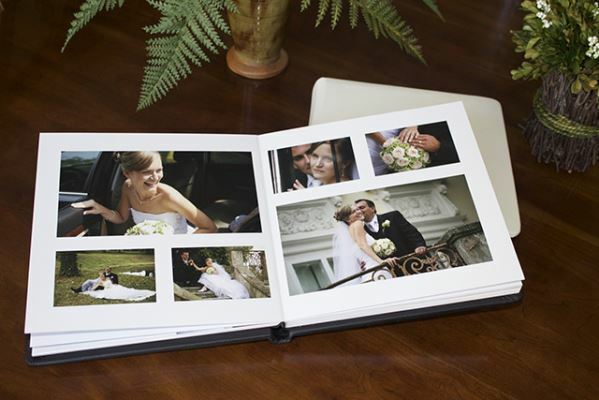 Don’t know how to make your special wedding album? Fret not – here are some tips you can get from us. 1. Avoid overcrowding each page. Though you may think that there should be spaces enough for all those hundreds of photos you took on your photoshoot, less is more. 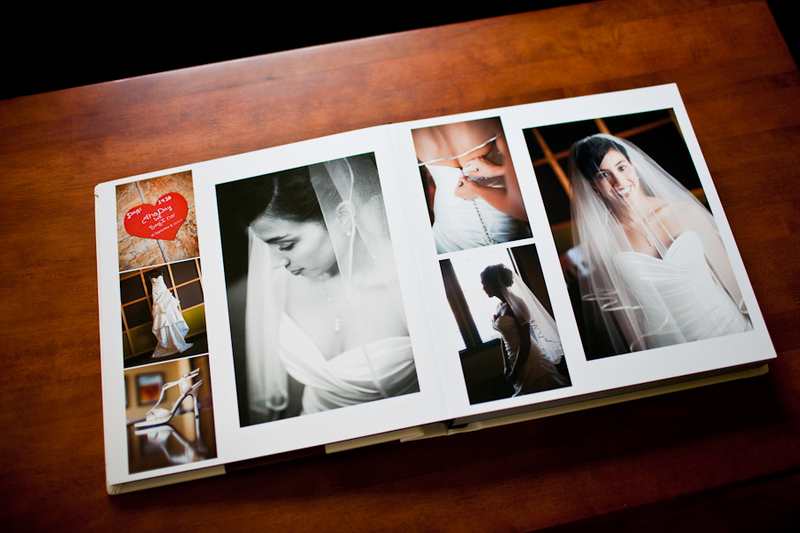 Give each page about two to three photos so that each photo could have its own voice. Having too many photos can confuse your eyes and make you dart around the page too quickly because they compete for your attention. This ends up with none of them getting the attention that they deserve and the story gets lost in the process. 2. Embrace the negative space. Part of not overcrowding your photos includes the negative space. This is what gives each picture the focus that they need so that your eyes will linger on each one. It’s also much easier to design each page when there are fewer pictures that compete for your attention. 3. Minimize fluff (and pick only your absolute favorites). There’s sure to be dozens of pictures that your photographer has taken during the wedding, but they may feel a little repetitive. Each spread should have its own theme or portray one particular event. Pick the best three or four that showcase each theme or event, and place them in the page. You should also take it easy with the spreads. Much like magazines, albums are made up of spreads that relate to each other by content or style, and helps to connect the album as a whole. If it helps, think of it as the “poetry” of the album, where is just as important as the order. 4. Keep it clean and simple. Take it from us: the elegant/minimalist/“clean and simple” design is the only design that’s guaranteed to stand the test of time. You can add extra graphics, photo layering, and even fading to your photo album, but keep in mind that design trends are exactly that – trends – and they come and go with the years. 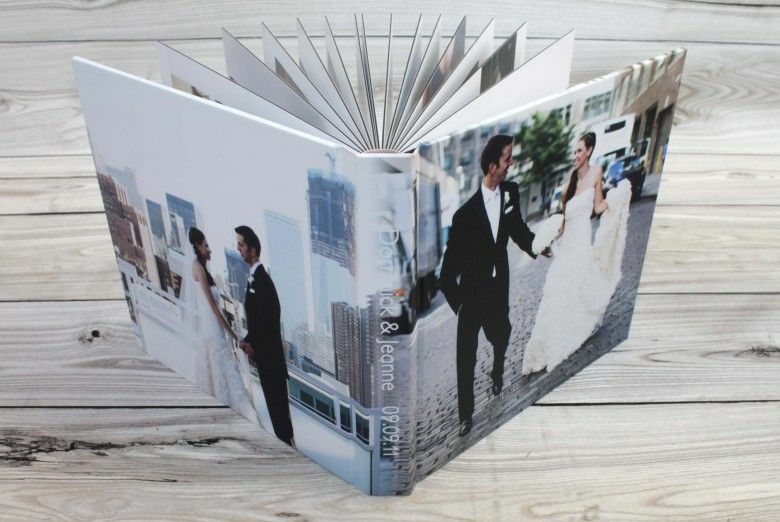 However, if you do decide to add graphics to your wedding album, make sure that they also share the same theme as the pictures themselves.